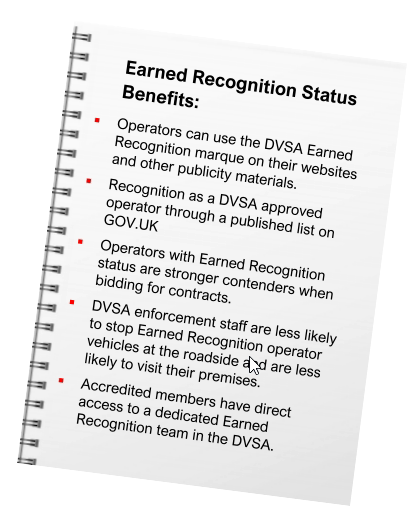 DVSA Earned Recognition is a new way for organisations with lorries, buses and coaches to prove they meet driver and vehicle standards. As part of the application process, operators must nominate an approved DVSA audit provider to conduct their audit to which Milebay are. We offer professional auditing services and are the only FORS Gold Accredited Consultancy, recognised as a leading provider of training, auditing and consultancy in the fleet transportation industry. All our Consultants are FORS Practitioners and offer professional, friendly guidance on the Earned Recognition scheme. Click here for guidance & forms.